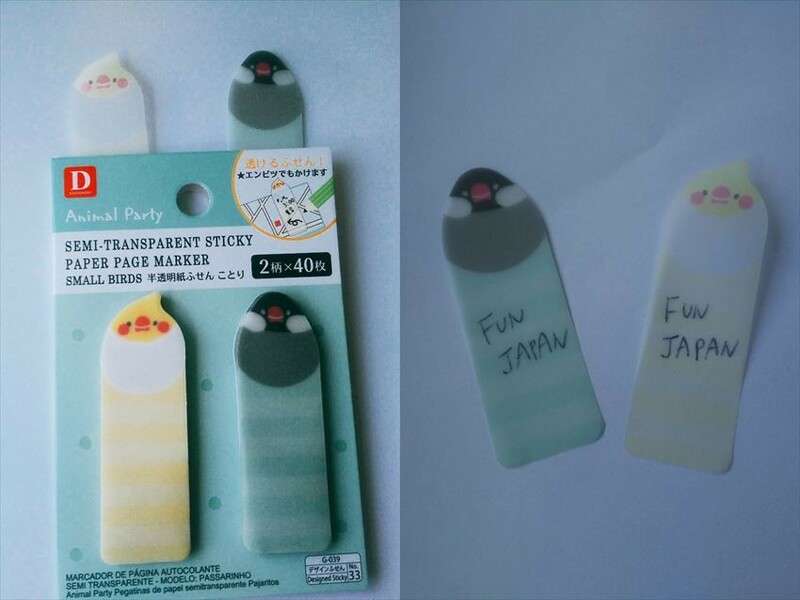 Cute Japanese sticky note that you could find at 100 yen shop "The Daiso"! 100 yen shop, "The Daiso" is a popular chain shop with everything selling at 100 yen. Their products ranging from miscellaneous goods to cosmetics, sweets and foods, etc, and are popular for foreign visitors to Japan as well as local Japanese. 100 yen shop "The Daiso" has about 3,150 stores throughout Japan including those branches in Tokyo, Osaka and other prefectures. (Information as at October 2017). 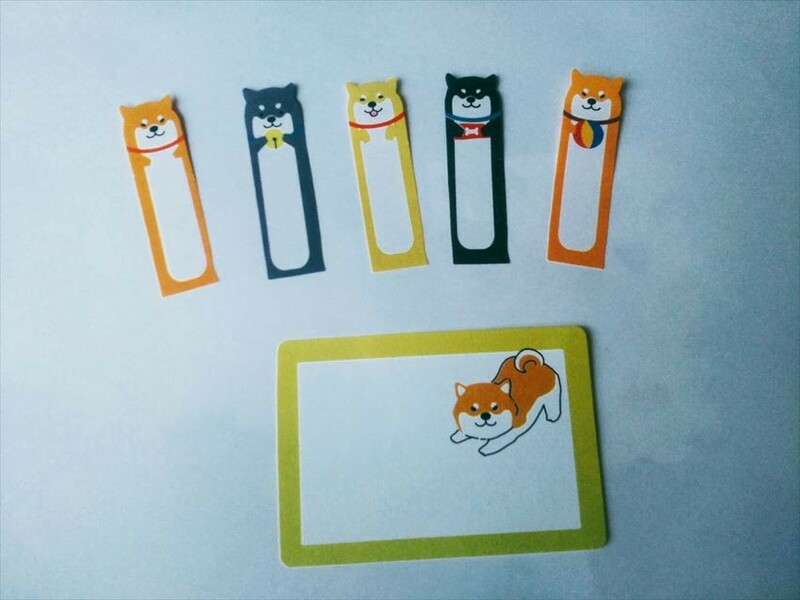 This time, we will introduce you sticky note that is convenient for you to take some notes and also can be paste and take off easily. This is also recommended for you to bring back as a souvenir for family or friends. 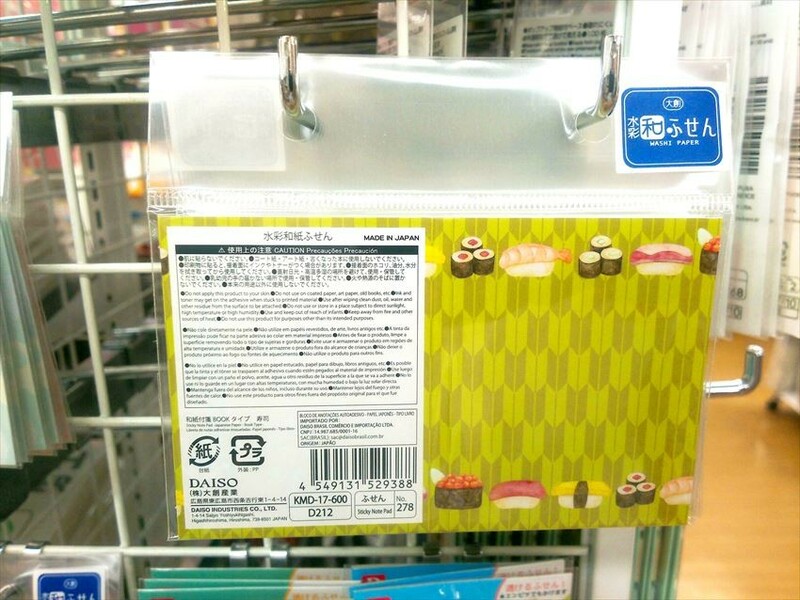 Since this sticky note is made from semitransparent material, even after you paste this "Semitransparent sticky note" you still can read and write without any difficulty. 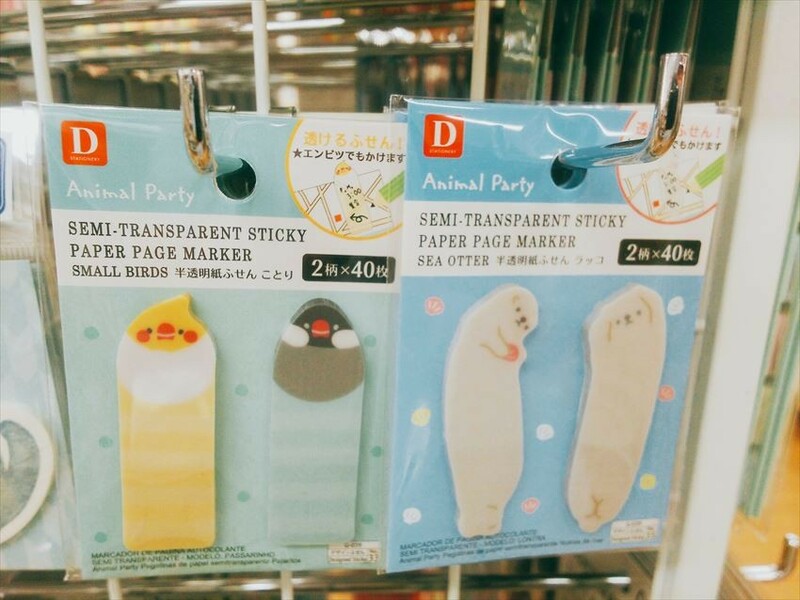 The sticky notes come with two type motifs which are birds and sea otters, each with 40 pieces. It is so cute when you paste with the visible part. It is also recommended for you to paste as a book remark to make sure you do not forget the important page during your exam period. 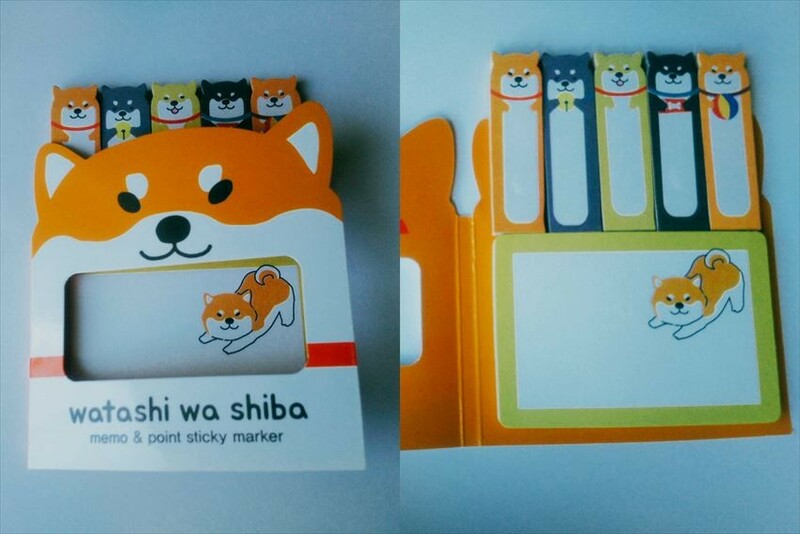 You can use any writing stationery to write on it including pencil, ink pen, ballpoint pen, etc. 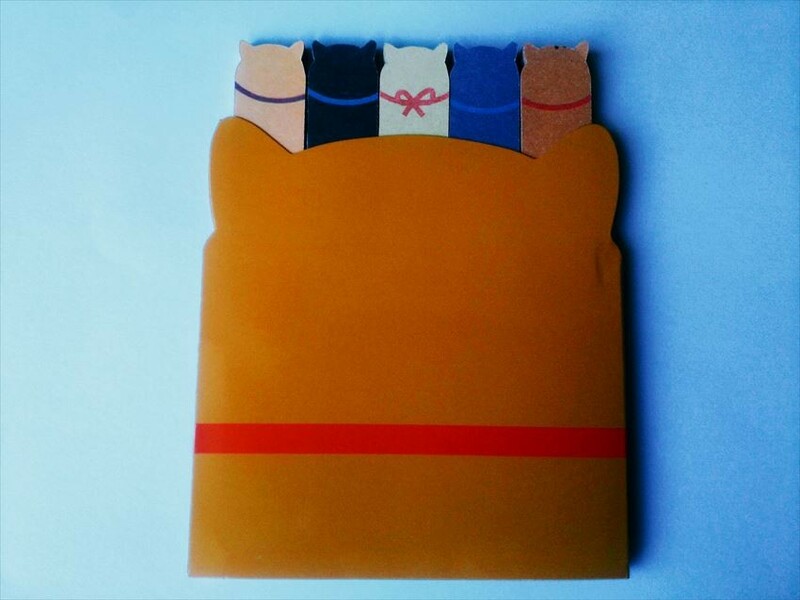 This is a sticky notes set with five long shaped sticky notes and one large rectangle sticky note which you can write plenty of notes. 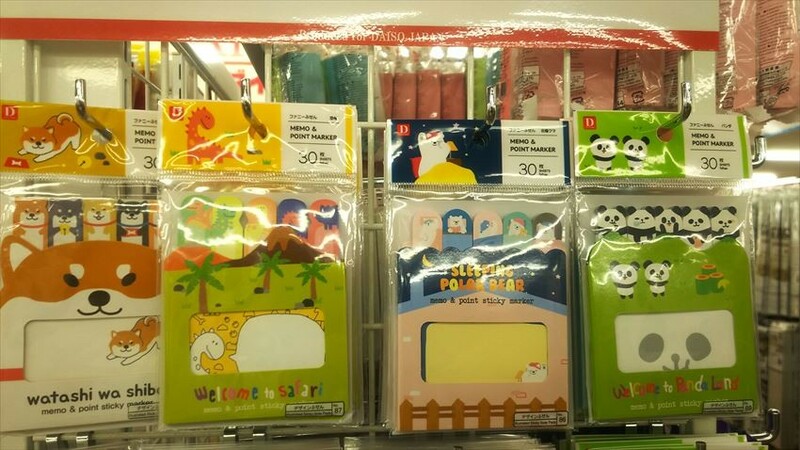 The sticky notes come with a cover so you don’t need to worry if the sticky notes will be peeled when you put in pencil case or memo pad. There are many motifs available such as dinosaur, white bear, panda, etc. Among them, the most recommended motif is “Shiba Inu”, which is also the smallest Japanese dog whose ear is standing and the tail is curly. 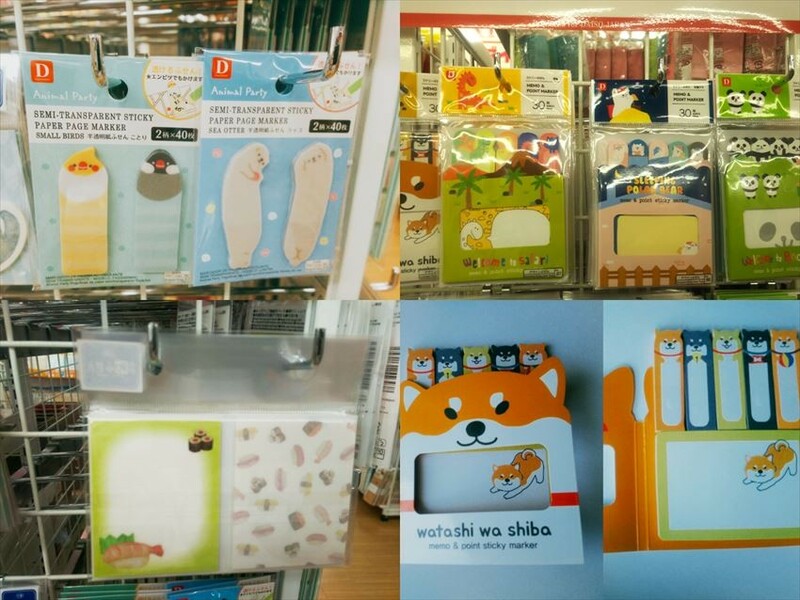 Recently, Shiba Inu is getting more and more popular in overseas also instead of only in Japan. Please pay attention to the back side of the cute sticky note which has different color of neck collar for each sticker note. “Watercolor Japanese Sticky Notes” which has watercolor painted sushi drawn on a Japanese paper. 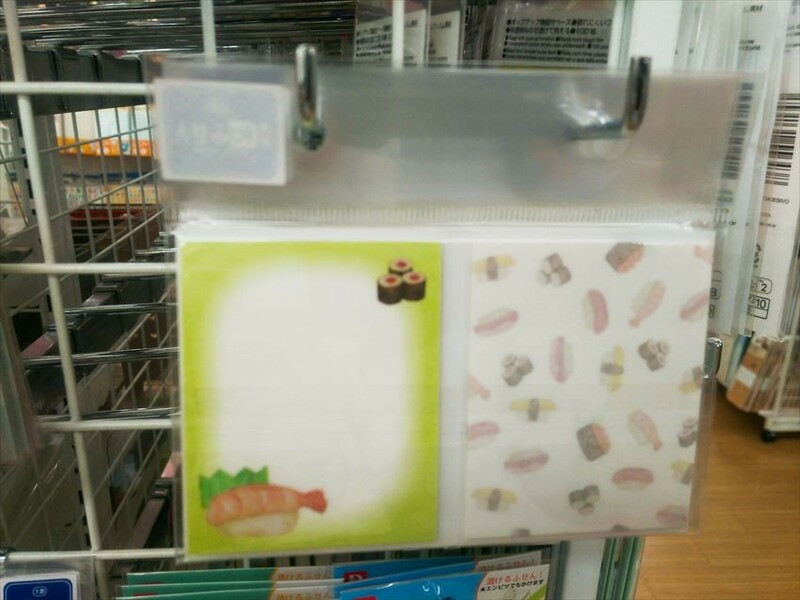 A Japanese style sticky note which sushi is drawn on a Japanese paper using brushes with watercolors. There are 2 designs in a set, one with various sushi such as Ikura, shrimps, tuna, egg, etc, while another one is a white background with rolled sushi on right top and shrimp sushi on left bottom. There are 15 pieces for each pattern. It is high recommended souvenir for your friends who like sushi!